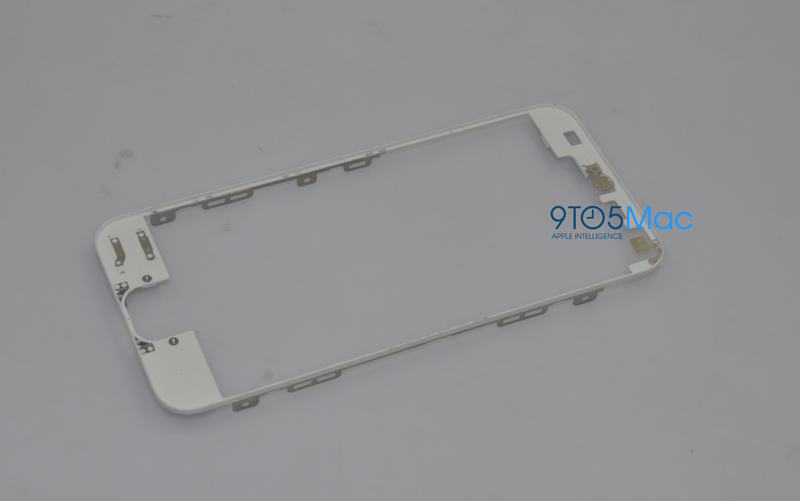 Earlier today, we posted the first image of the back plate for the next-generation iPhone, and now we have received several more images that are very high-resolution. These new shots showcase a comparison between the black and white versions of the next-generation iPhone back. The black and white coloring is, of course, a trim, and a large portion of the back – as you can see – is made out of metal. We are unsure at this point what purpose this metal serves (or if it is just a stylistic addition), but the metal is definitely present in all of our photos of the device’s back. 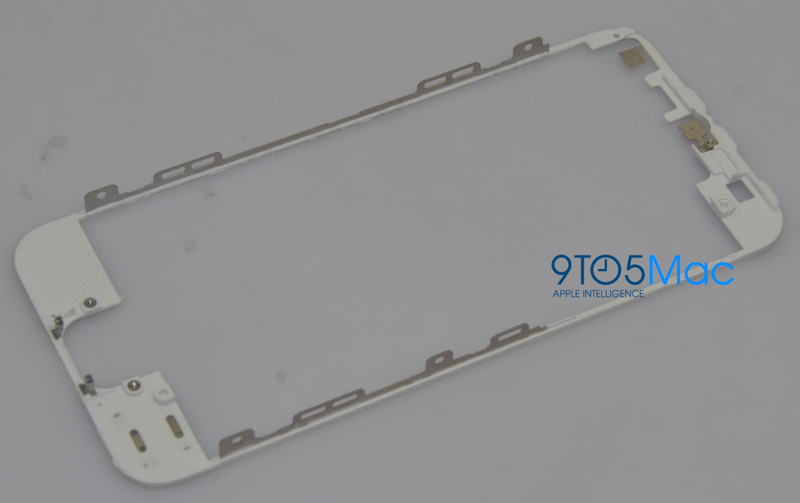 From a production standpoint, it appears that the metal antenna band is molded into the metal backplates. We assume this is Apple’s way of creating a unibody enclosure for mobile devices. Apple introduced unibody notebooks in late 2008, and the purpose of the unibody is to allow Apple to produce thinner and lighter, yet stronger, devices. Now that most of the phone’s external elements are one piece, Apple is likely able to squeeze more into the iPhone internally. Apple needs all the space they can get with their plans of producing LTE smartphones with proper battery life. 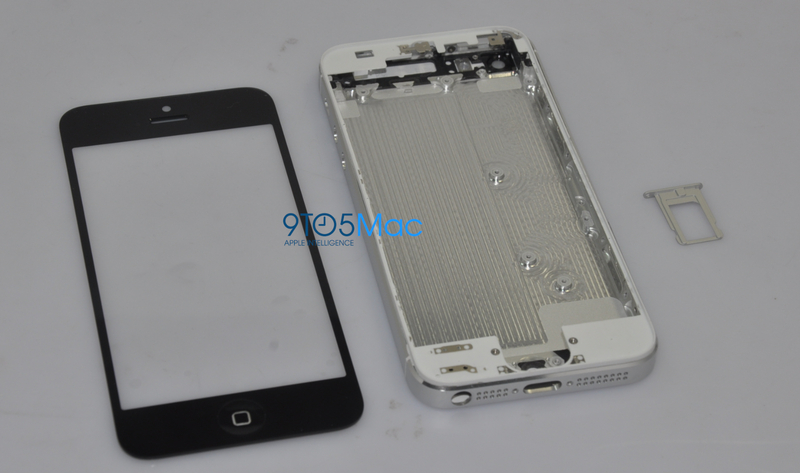 These photos also clearly show some of the features of the next-generation iPhone. 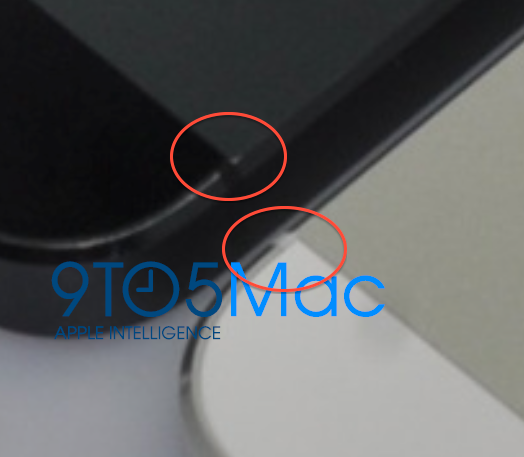 The long rumored smaller dock connector is present, the earphone jack has been moved to the bottom corner of the device (the first time Apple has done this on one of their smartphones), the speaker grills have been redesigned, and there is a new opening between the camera lens and the LED flash. We’re not sure what this opening is, but it is possible that Apple is moving the second microphone (Apple started shipping two microphones with the iPhone 4) to the back for improved audio capture during video recording. Adding to that, above is a photo of what we believe to be the black next-generation iPhone front glass. According to our sources, this glass has room for a taller display with the same width as the screens on previous iPhone models. Notably, it appears that the camera lens for the front (what Apple calls the FaceTime camera) has moved above the earpiece. It is now centered. From the above photos, we can also deduce that the rumored edge-to-edge technology is not coming in this iPhone (as previously rumored), and that Apple is definitely testing these units with the Micro-SIM technology from the iPhone 4/4S (smaller SIMs – and even no SIMs – have been rumored).